Oh no Christmas is comingâ€¦but so is Halloween, Mid Term, Movember, Stoptober and a heap of other amazing things we can use to market to our customers. As it is the 1st day of the final quarter of 2014, letâ€™s take a moment to look at all the great opportunities we can use our benefits. Today we talk about Christmas Yes I know we have been pushing Christmas on you from mid July, but at Kaizen we celebrate it twice annually. Once, in the summer when the restaurant, hotel and pub trade need to plan their menus and christmas party deals and secondly in Quarter 4 when every other business takes the opportunity to push sales promotions, business marketing and plan for what is commonly the busiest time of the year. Some of the most common marketing that is undertaken for retail clients include: Window Displays Sales Promotions utilising flyer and poster printing Special Events and Promotional Nights Many business to business clients we work with also use Christmas as a time to reconnect with their customer base and commonly they use the following to market their wares over the festive period. Christmas Cards Sales Brochures - Download our Christmas Brochure here Notepads Deskpads Desktop Calendars Wall Calendars With only 11 weeks until Christmas itself, it really is time to take action. Even here in Kaizen this is honestly the first year we have proactively looked at Christmas in October and already are we seeing huge benefits. 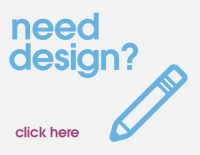 To keep you guys right, our marketing should be with you a month before yours should be with your customers. 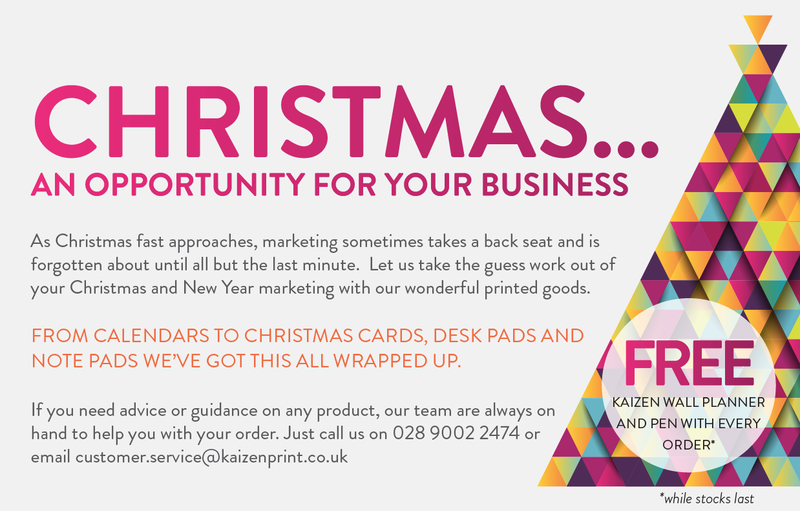 Download our Christmas Brochure here IMAGE To have a chat about any of your retail or b2b Christmas marketing, please do get in touch via the Contact Form or by calling us on 028 9002 2474. Ho ho ho!